The bitter Kilkenny Group family feud between mother and son, Marian and Greg O’Gorman, has been resolved following months of tortuous conciliation talks. In a brief statement, the leading Irish luxury goods firm confirmed last night that the two-year row which sparked a high-profile High Court action has ended. “Kilkenny Group is happy to confirm that the dispute between Gregory O’Gorman and Marian O’Gorman has been resolved to the satisfaction of all parties,” the statement confirmed. The settlement followed months of conciliation talks and private negotiations aimed at settling the bitter dispute which had threatened to seriously damage the firm. Many had feared the row, if it continued to full a High Court hearing, had the potential to prove one of Ireland’s most destructive family feuds. 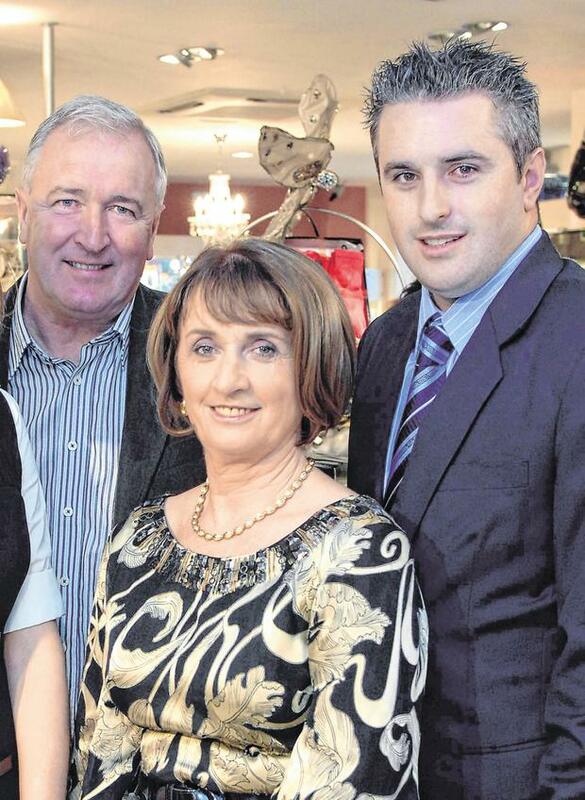 The row erupted in 2016 when Marian O’Gorman, the chief executive of the successful Cork-based family business, terminated the employment of her son Greg. Mr O’Gorman was the marketing director for 13 years for the Kilkenny Group, a chain which sells luxury goods. He had played a key role in the successful expansion of the retail operation. Mr O’Gorman immediately took legal action to stop his dismissal – and to require his mother to honour a deal which he claimed held the Kilkenny Group in trust for him and his siblings. It was claimed he had a 25pc stake entitlement to the business. Ironically, the trust involved was devised to try to avoid the bitter family rows which marked the Blarney Woollen Mills empire from which the Kilkenny Group emerged. Following the collapse of mediation talks last May, Mr O’Gorman warned he had no alternative but to proceed with full discovery of all legal and financial documentation. Mr O’Gorman had also expressed exasperation last Christmas when a settlement was rumoured but not agreed. Ms O’Gorman has repeatedly declined to comment on the two-year dispute. Without a settlement, the legal battle between the mother and son had been set for full High Court hearing later this year. Mr Justice Brian McGovern had urged both sides to embrace mediation talks to try to reach an agreement. Clydaville Investments Ltd, which carries on the business of luxury design under the Kilkenny brand and employs 300 people, increased its turnover under Mr O’Gorman’s watch from €18m in 2010 to approximately €30m in 2016. Profits rose from €300,000 to €1.5m over the same period. Turnover was €27m in 2015 and the High Court was told there was a preliminary desktop valuation of some €50m for the business, including its “significant” property assets. Mr O’Gorman has consistently maintained that his dismissal, signalled in a letter delivered to his Cork home on July 8, 2016, was with “no suggestion of misconduct or non-performance”. He also claimed the manner of his dismissal was both “demeaning and humiliating” for him and his family. It was claimed that under the so-called ‘Family Constitution’, the Kilkenny Group is divided in equal shares between Mr O’Gorman and his three siblings Michelle, Melissa and Christopher. The ‘Family Constitution’ was established in an effort to avoid the family feud which involved Ms O’Gorman and her own siblings over the ownership of the hugely successful Blarney Woollen Mills Group founded in Cork by her late father Christy Kelleher. Mr Kelleher’s death in 1991 sparked a power struggle among his children – Marian and her sister Freda had a major falling out that year, the latter going on to form another business, the hugely successful Meadows & Byrne lifestyle chain. This dispute was followed in 1999 by a High Court battle when Marian, her husband Michael and her sister Bernadette Kelleher Nolan went to court to prevent their brothers Pat, Frank and Kevin from removing Michael from the group’s board. The stand-alone Kilkenny Group, originally owned by the Government but bought by Blarney, was carved out in the settlement.